Worship the Moon is a magical and inspirational look at the lunar archetype. A wonderful and powerful film! Witness the Marriage of the Sun and Moon. From Element Zero. 2:21 minutes. The Story of the Red Rose is an original tale inspired by the fairy tales of Oscar Wilde. It is a traditional fairy tale in form, following a hero in his quest for a red rose in a world where one has never existed. By Juan Zaldivar. 24 minutes. 1 + 1 = 1 is a psychedelic video that combines layers of film, animation, and digital effects to create a unique illusionary journey through alchemical transformation. The music is supplied by techno artist Ceiba. By David Berry. 8:26 minutes. Gravity combines computer-generated animation and religious imagery to make a powerful alchemical statement. A young boy learns to “cut the cord” and see the world as it is — an image of the thoughts that are fed to us! By Min Lee. 5:00 minutes. Anamorph is a stark portrayal of modern man versus machine, life force versus technology. A disturbing mix of people and machines. And we don’t seem to be getting along very well. By WDDG. 2:30 minutes. 1.85 is a hypnotic video essay on the archetypal Element of Water. By William Richard. 5:00 minutes. Agraphia is a mind-altering mixture of light and distorted stills that intermingle with clearer images of horror and pain. From Film Bureau. 1:30 minutes. …and I is about a disturbed man is constantly being chased … by himself. By Dave Kurman. 2:16 minutes. The Terrible Secret of Space is a frightening look at what we have invited into our homes. 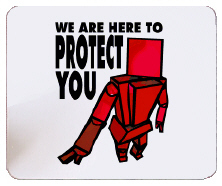 We have created a robot bureaucracy-media-industrial-entertainment complex to protect us from what? Waking Life is a truly disconcerting look at modern society and a great Calcination experience! 18 minutes. Man in the Moon is about a little man who lives on the moon and spends his days working in his dirt garden. One day he notices a light heading his way from the large blue planet that fills his entire vista. A fit analogy on the effect of technology on the Lunar Work. From Germany. By Chris Stenner and Arvid Uibel. 6:51 minutes. Rocket Pants is an iconoclastic version of human pride and arrogance versus nature. The fat-Elvis icon is especially disturbing. Alchemical Kubrick: 2001 – The Great Work on Film is a probing article by Jay Weidner on Kubrick’s classic film.